While Key West doesn’t have autumn colors to put you in the fall state of mind, we have a Starbucks on site to get your palate in the right season. We know it can be confusing on an island where summer is endless. Check out the Fall drinks they’re serving up at Starbucks, open as early as 6:30 a.m. on weekdays, to get your day off to a good start. Nowadays, it doesn’t seem like fall unless you enjoy a Pumpkin Spice Latte from Starbucks. This is one of Starbucks most famous drinks since they rolled it out in 2004. The espresso drink with steamed milk is complemented with real pumpkin, cinnamon, nutmeg and clove. With whipped cream it’s just like pumpkin pie. This is an underrated beverage with a delicious Fall taste. The drink it made of toffee nut syrup and mocha mixed with coffee and milk, then topped with brown sugar and sea salt. 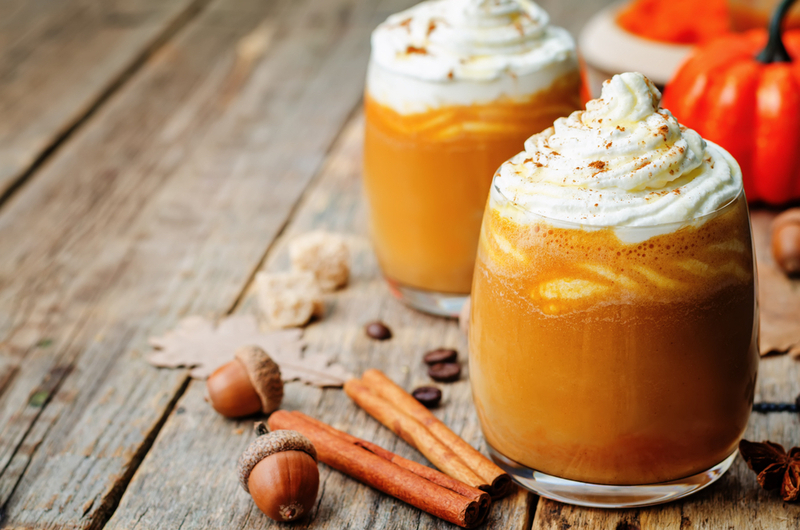 The toffee nut syrup adds a complex taste of fall. Enjoy the sweet and savory taste of toffee nut. People are going crazy for the new Maple Pecan Latte this fall. Rich espresso joined with maple syrup, pecan and brown butter and a sugar topping is a must-taste fall beverage. Some say that it could rival the Pumpkin Spice Latte. Try it and see what you think. Spicy and sweet has become popular in candy bars, so why not drinks? The Chile Mocha gives you that extra kick in the morning, with hints of ancho and cayenne chiles blended with notes of cocoa, cinnamon and vanilla. Ready to book? Check out our specials here.